Hi everyone! 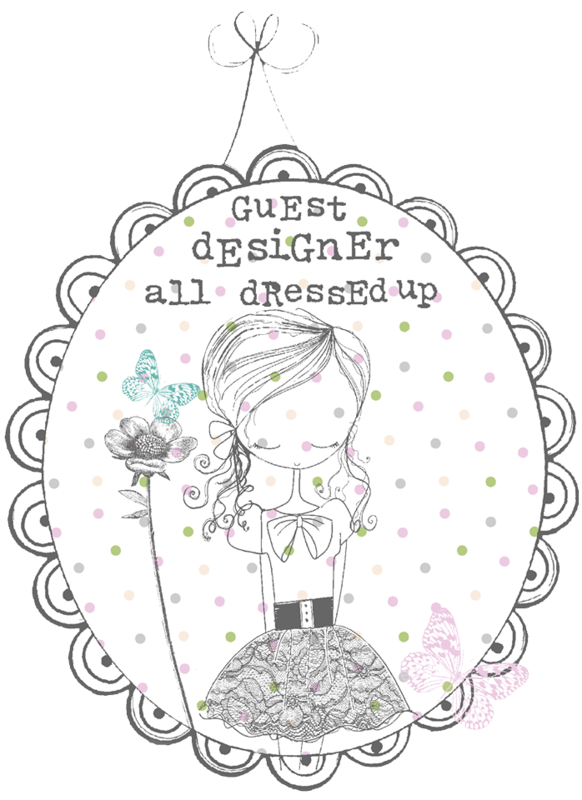 Today I am excited to announce that I was asked to be a guest designer with All Dressed Up Stamps for their January Anything Goes Challenge that kicks off today. I decided to use the Spring Walks image for a fun birthday card. They have so many awesome stamps, it was hard to choose just one for this post. Shop the entire store here. The image is colored with Copics and then die cut with a scalloped frame die. The pink swirly frame was also created using the nested scalloped frame dies. The image panel is popped up with foam tape for dimension. 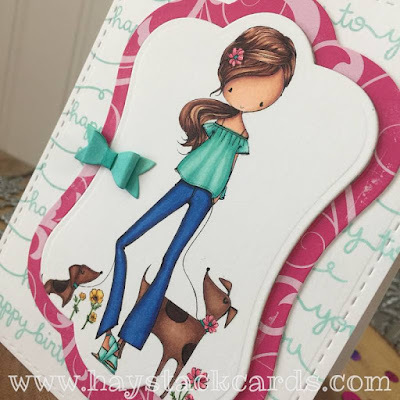 To incorporate a sentiment, I stamped "Happy Birthday to You" from the Lawn Fawn Scripty Sayings stamp set across the stitched white card base in Mama Elephant fresh mint pigment ink. To finish off the card, I added an itty-bitty baby bow using dies and colored with coordinating Copics. 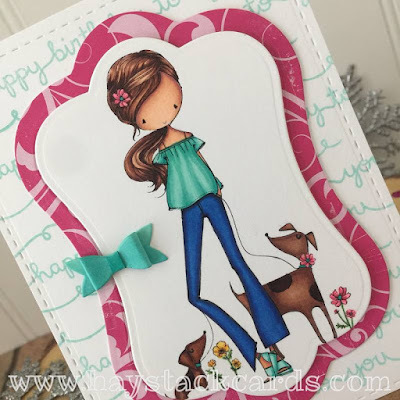 This was such a fun card to create! I am also honored to have been one of the Top 3 chosen from All Dressed Up's December challenge to be asked back as a guest designer for their January challenge. I appreciate you all so much for this opportunity!! Thanks for being our GDT this month! !